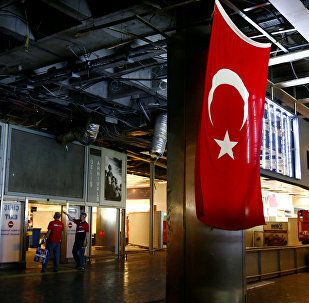 On June 28, a terrorist attack on Istanbul’s Ataturk international airport killed at least 36 and wounded 147 people. Turkey has long been accused of helping radical groups trying to overthrow President Bashar al-Assad, but Ankara appears to have made a U-turn and is now serious about tackling Daesh and resolving the Syrian conflict. This policy change prompted terrorists to carry out an attack at Istanbul's Ataturk Airport, Professor Hilmi Demir told Sputnik. Political scientist and expert on security and counter-terrorism, Metin Gürcan, spoke to Sputnik about the recent terror attack at an Istanbul airport and how Daesh is changing its strategy. 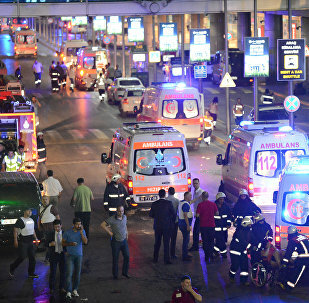 The deadly Istanbul airport attacks speak to the need for joint counterterrorism efforts and close bilateral and multilateral cooperation, Russian Security Council Secretary Nikolai Patrushev said in his message of condolences to his Turkish colleague Thursday. According to the US Secretary of Homeland Security, the government has been informed of the possible identities of the three suicide bombers who carried out the terrorist attack in Istanbul. The hacktivist collective that has been focused on efforts aimed at crashing Daesh on the Internet has pledged to "track down" the militants following a devastating terrorist attack at Turkey's main international airport in what the group called Operation Istanbul, stylized as #OpIstanbul. 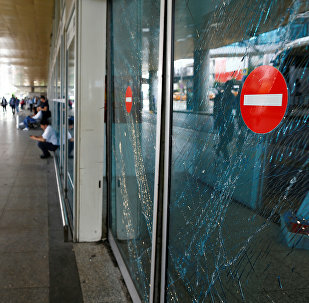 Foreign nationals suspected of carrying out Tuesday's deadly attacks in Turkey's Ataturk Airport were from the CIS states, namely from Russia, Uzbekistan and Kyrgyzstan, media reported on Thursday, citing a Turkish official. 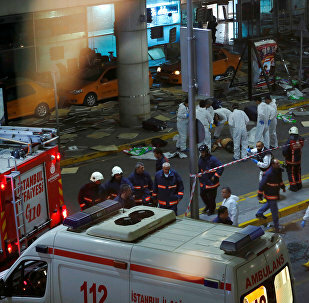 According to the Turkish interior minister, the number of people killed in the suicide bombings in Istanbul rose to 43. One of the suspects in the Istanbul Ataturk Airport attack, said to be a Chechen national, is wanted in Russia for membership in an illegally armed group, a Chechen security source told RIA Novosti on Thursday. The Kremlin is not aware of Turkey's inquiry regarding one of the Istanbul airport terrorist attack suspects claimed to be from the Chechen Republic, Kremlin spokesman Dmitry Peskov said Thursday. 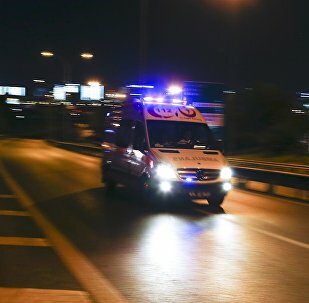 Two citizens of Saudi Arabia were killed by a terror attack in the Istanbul airport on Tuesday. 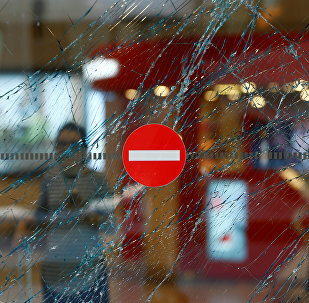 Turkish authorities on Wednesday refused RIA Novosti correspondent Dmitry Vinogradov entry to the country on assignment to cover the aftermath of the recent terrorist attack in Istanbul airport. 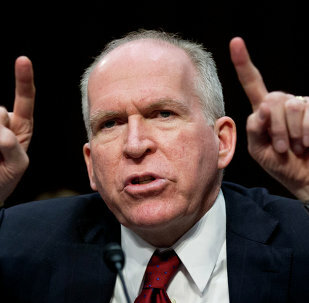 The deadly terror attack at Istanbul’s Ataturk International Airport are similar to previous attacks perpetrated by Daesh, Central Intelligence Agency (CIA) Director John Brennan said in a speech on Wednesday. 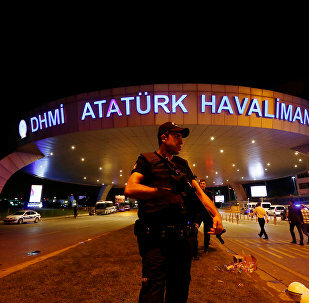 The United States did not have credible, actionable intelligence on an imminent threat before the terrorist attack at the Ataturk International Airport in Istanbul, Turkey, US Department of State deputy spokesperson Mark Toner said in a briefing Wednesday. The death toll from the terrorist attack on a Turkish airport in the city of Istanbul has climbed to 41 people. The country’s Prime Minister Binali Yildirim said early signs show that Daesh was behind Tuesday’s carnage. Radio Sputnik discussed the issue with Ilhan Tanir, Turkish analyst and correspondent for Cumhuriyet Turkish Daily.